Some of his works represents moments in still life, yet his works are not void of emotional content. Between moments of reality and the view through the lens, Mr. Ko injects the life into the image through his artistic perspective, not only by connecting them to his personal experience but also by further exploring the perspective of his subjects. This is something we need in modern society; the ability to have conversations with nature, to chat with silence, and to speak with destiny. As a passenger without destination he allows his heart to feel every step of the journey. When viewing his art, time is frozen, as is your breath. You don’t know when and where you are; it takes you to another space, an infinite plane of existence, with no beginning or end. This is his beauty, this is his aesthetic identity. His works have a magnetic ability to pull energy from within us, turning our emotions inside-out. You can not only feel his soul but also see your own reflected in his work. Being birthed from this moment, the viewer engages in a new energy. Now, it’s not only related to the aesthetic beauty but it also calls upon the universal undercurrents in the qualities of our senses. Form, lines, and colors are frozen and merged together within this mood. His artwork titled “Presence of Venus” (This piece was in Christie’s Taiwan Spring auctions, 2000′, and been sold at the highest price among all photography works.) is his favorite work. The piece gives the viewer a strong feeling that is difficult to articulate. Finding the division between nature and the extensions of human nature, we are lost in our endeavor. Interlocked in the silence of being, we are left with a feeling of calm. When presented with an enticing sea of tranquility and ever expanding depth, we feel on the edge of a cliff, stranded between the world of humans and the universe without limitations. It provides a feeling of comfort in a moment of suspended reality. “Wu Jin”「無盡」means timelessness in Chinese. It describes Mr. Ko’s current status; keep walking, keep shooting, freeze the time, cross time and space, step over the beauty, stand far above the unworldliness, this name is also inspirited from the “Endless Light” in Vimalakirti Sutra-Buddha Chapter, “Endless light is like a light of thousands lights, brings light to the dark and illuminates to eternity.” Adler Subhashok Gallery hopes this exhibition can be that illuminating light in the souls of all those able to witness it. Si-Chi Ko, who is an internationally renowned photographer, created his own style since the early 60s. Ko’s major work focused in landscape and portrait. He set a milestone of the modern style of photography for Taiwan. Later he moved to New York, where he resided and became an active commercial / fashion photographer. Gradually, Ko doesn’t only make his own name as a top photographer in New York; but also he was noted as one of the most talented Asian photographer who was based in New York. Since 1993, Si-Chi Ko has returned and settled down in Taiwan. Today, when people talk about him, they always refer to him as a master of color photography. Nevertheless, he continues contributing his passion and talent to challenge another climax for his career of photographic arts. Ko Si Chi has crossed over between purely artistic and commercial photography, and his works have been widely collected by major art museums in Taiwan and abroad. 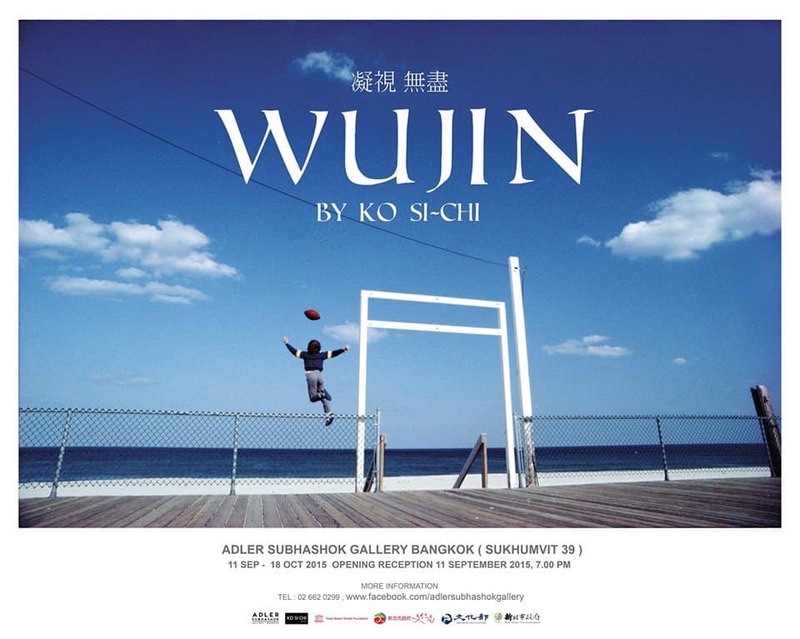 A definitive album of Ko’s photographs—”Ko Si-Chi”—written in 2005 by the photography critic Herve Le Goff and published by the well-known French publishing company Cercle D’art, has been issued worldwide in French and English versions, adding to the prominence of art photography in Taiwan. Ko consequently was honored with the Executive Yuan’s 10th National Arts and Culture Award in 2006. Ko Si Chi relies on his highly refined technical skill and artistic intuition to achieve the perfect fusion of poetry and aesthetics, and his works are suffused with contemporary sentiments and humane concern.